Muslims pilgrims at the Kaaba performing their religious duty. You would be surprised to learn how many areas of our lives use artificial intelligence (AI). AI is being widely used by voice assistants, smartphone apps, banks and online stores. It makes people's life easier. Recently, the Saudi Arabia Ministry of Hajj and Umrah also joined the AI bandwagon. 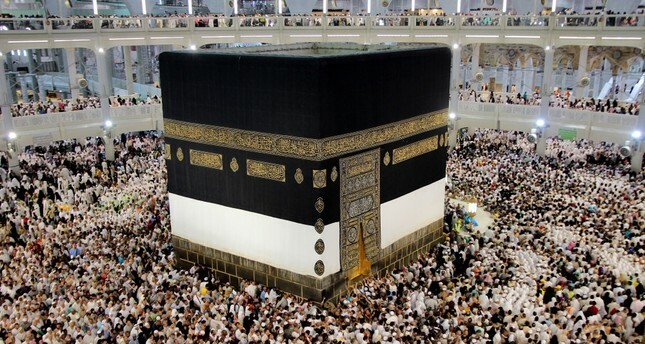 In a promotional video ahead of the hajj season, it revealed that the country will be using AI by 2030 to better manage the Islamic pilgrimage and streamline the process for millions of Muslims. The Minister of Hajj and Umrah Mohammad Saleh bin Taher Benten announced that they will utilize AI and other advanced technology so that the faithful can perform their religious duties in a better environment. The promotional video gave a vision of the future where Muslims who want to perform the Hajj in 2030 will be able to apply through a mobile application. After the application, the prospective pilgrims will receive a package including an electronic card, wristband and earphones. They will be directed with these devices during their visit. In addition, every pilgrim's luggage will be brought to their hotel rooms, without the need for them to carry it. When a person comes to their room, their luggage will already be there. The pilgrims will receive all information about the Hajj schedule through the smart wristband. They will be able to listen to important information with their earphones and the wristband will display notification like how many times they have how many times they have gone around the Kaaba. It will also display the specific prayers the pilgrims should say at specific stages of the hajj. Missing friends or relatives will also not be a source of anxiety in the future. When the pilgrims download Hajj and Umrah application on their smartphones, their locations will be tracked using AI and GPS technologies. The host system will be able to see their locations at all times. The language barrier will also become a thing of the past. The AI-powered headpieces will also double as a real-time translator, helping the pilgrims understand vital instructions.